The availability of professional analogue playback devices has dramatically decreased in recent years, as most of the manufacturers no longer produce analogue machines or spare parts. 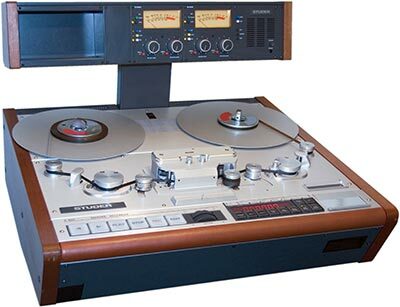 A very limited range of new, professional tape machines is currently available. The last generation of equipment to be developed (~1990s) introduced the least distortions and, therefore, achieves the best signal quality. Professional machines have a greater ability to adjust replay parameters. They also have gentle tape handling characteristics so that they do not damage the tape during replay. Take also into consideration the availability of spare parts!!! Use the most modern and professional replay machine possible. However, the machine must fully comply with format specific (historical) parameters of the tape to be reproduced (e.g., speed, track format, and equalisation). Power up the machine before use to allow the electronics to stabilise!